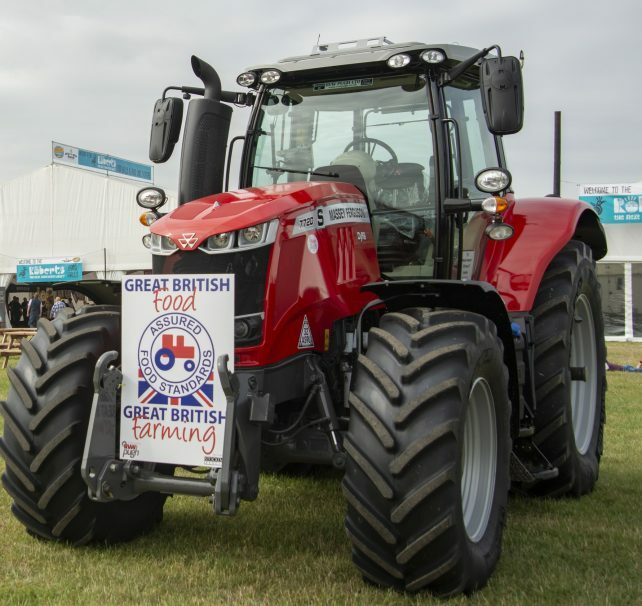 Following on from the success of the 2018 Royal Cheshire County Show, the Show in conjunction with Red Tractor are pleased to announce the winner of the Red Tractor Competition. The competition ran over the two days of the Show and the prize was an iPad. 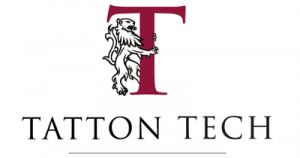 The winner was the person with the most shares and retweets of themselves and the red tractor on Facebook and Twitter. Chief Steward of the Agri-Centre at the Royal Cheshire County Show, Stuart Yarwood and Olly Harrison a local farmer on the Red Tractor Board commented that they were extremely pleased with the success of the competition and felt that it achieved their objective to promote Great British Farming and Great British Food. The winner of the Red Tractor competition was Charlie Irlam from Over Peover. 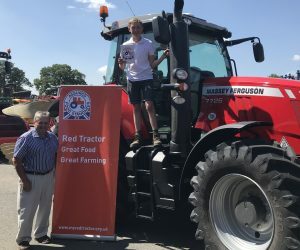 Charlie is an enthusiastic young farmer who was excited to be photographed with his new Red Tractor iPad on a Massey Ferguson tractor, which was supplied by RVW Pugh from Holmes Chapel.